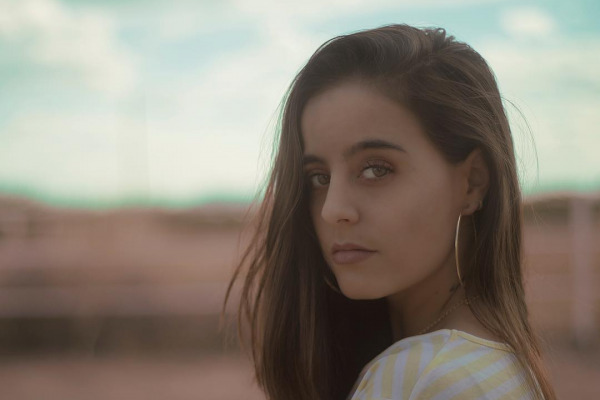 In this interview with Valentina Lopez, the singer-songwriter-producer discusses the inspiration behind her single “ No Mas,” upcoming EP, her greatest music influences, and more. What was your inspiration for your song "No Mas"? No más came from a personal past experience due to a toxic relationship. It's so easy to get into one and so hard to get out of it. The song represents that precise moment when it clicks, and you just say "no more". No more abuse of any kind, it can be emotional or physical. I believe that real love can't live where there's abuse, period. Who in the music industry - past and present - are your greatest influences? God, there are so many great influences. If we talk about my influences as an songwriter and performer starting with Etta James, Nina Simone, to Ed sheeran, Kehlani, Adele, Steve wonder. If we talk about people who influences me as a producer or engineer I'll say Max Martin, Greg Kurstin, Manny Marroquin and there are so many others. Was there a pivotal moment in your life when you first realized you wanted to pursue music professionally? I knew I wanted to be a singer when I was very little, what I didn't know is that the moment I first stepped foot on a recording studio I would become so interested to be more than just a singer. I wanted to run that damn studio. I wanted to be the recording artist, or the producer or the engineer and also the songwriter. I wanted to be all those things and couldn't choose. So I've been working hard every day ever since to be the best version of myself and be good at everything I'm passionate about. What's the coolest place you've ever performed? Galápagos Islands definitely. Right next to the beautiful shore, with sea lions laying on top of every bench that surrounded the scenario. It was unreal. If you could work with any artist dead or alive, who would it be? OMG MAX MARTIN AND ED SHEERAN. What's next for Valentina Lopez? I've been writing and co-producing with and for pretty interesting and well known people in the Latin music industry as well as for myself. I'm blessed to do what I love and be able to make a living out of it too. I'll be releasing an EP soon as an artist but I'll be working as a songwriter producer/engineer for other projects too. They'll all be released by summer time so keep your eyes open! !